The Zen Parrot: Of Parrots, Politics, and Coffee: The Parrot Diaries: Parrot Poop: What Is It Good For? The Parrot Diaries: Parrot Poop: What Is It Good For? 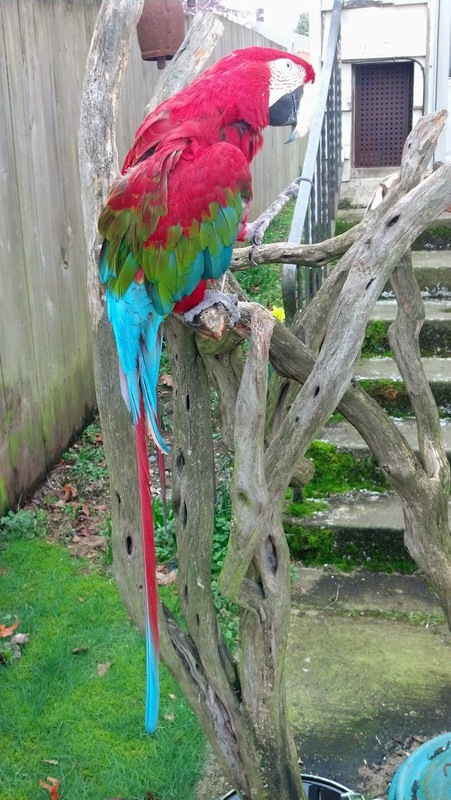 Of our eight parrots, only one, our Greenwing macaw and diva parrot Roxanne, insists on going outside to do poopie. Year around. Day in and day out. Winter and summer. Pouring rain or sunshine. Well okay, on those rare occasions when it snows here in Seattle, Roxanne will relent and do her business inside. Roxanne hates snow. She is a rain forest parrot, after all. Not a snow forest parrot. Otherwise, her backyard play stand is her outhouse. After pooping in the same spot day after day after day, the guano tends to build up. In that one spot. So what to do with that literal pile of poop? Parrot poop. What is it good for? Well, fertilizer for one thing. We've discovered that our outdoor container plants love the stuff. Come spring and the start of growing season, our outdoor container plants are nutritionally deprived and hungry. So what better way to feed them than simply scoop up some of the parrot poop and distribute it to our outdoor container plants. Dig it into the containers. 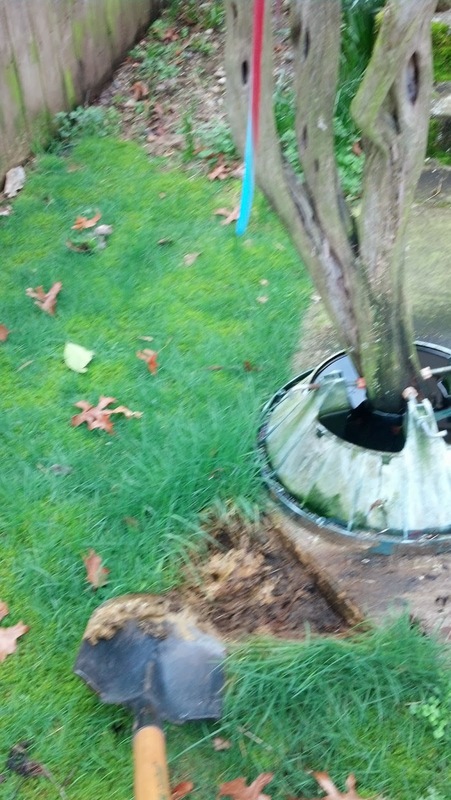 We don't even need to water the parrot poop into the container soil because Seattle's monsoon season typically lasts into June. There's a reason they call it the June Gloom here in Seattle, but that's another story entirely. 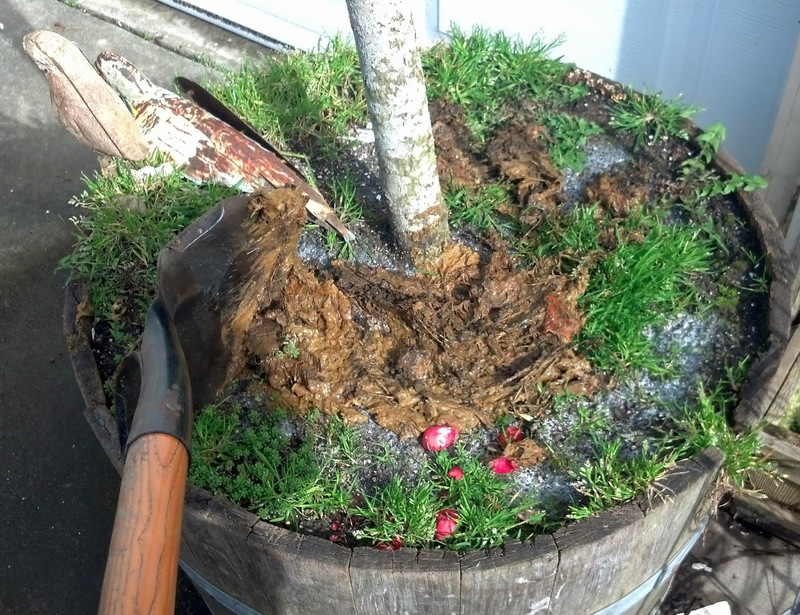 So we scoop the parrot poop and dig it into the outdoor containers in between rain storms. In case you were wondering, the parrot poop is pretty odoriferous, so we definitely do not recommend using it on your indoor plants. Bon appetit!